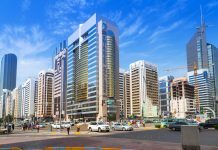 Emaar Properties PSJC reported the lowest quarterly profit in almost three years, showing that Dubai’s lengthening real estate slump is starting to weigh down even its most resilient builders. 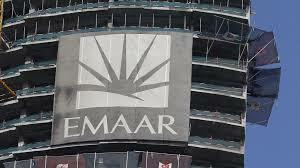 Emaar, which built the world’s tallest tower in the Persian Gulf emirate, said third-quarter profit dropped by 29 percent, missing estimates. That follows earnings slumps and losses at competitors amid signs that the slowdown may continue for years longer than anyone had predicted. Dubai owes its global fame to iconic buildings that showcased the city’s ambitions before pushing it to the brink of bankruptcy in 2009. After a brief post-crisis bounce, the property industry is again mired in a slump that has defied all forecasts of a rebound over the last three years. That’s convinced even some of the most optimistic developers that the slump will last beyond the much anticipated Expo 2020. Damac Properties PJSC said earnings slumped 68 percent. Union Properties PJSC, another listed developer, reported a loss. State-owned Nakheel PJSC, which built Dubai’s iconic palm-shaped islands, reported a more modest profit decline of 3.5 percent. 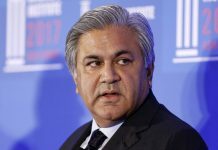 “Next year is going to be another difficult year,” Sajwani told World Economic Forum event in Dubai on Monday. “I would hope by end of 2020, or 2021, we start coming out of this slowdown.” Along with many in the property industry, the chairman had previously predicted a recovery before World Expo 2020. At fault is a mix of fervent development that outstripped population growth and declining investor demand that pushed down prices and rents. That’s pressured developers to cut jobs and revise their earnings outlooks. Advanced sales of homes, which help developers secure capital before before building, is losing steam this year. Earnings for developers held up over the first two years of the slump, partly because they provided payment plans that extended for years after a property was complete. Some developers have also bolstered their earnings by relying more on recurring revenue such as rents from commercial properties and homes. Investors have noticed: Emaar, which has the biggest weighting on Dubai’s benchmark stock index, has dropped 25 percent this year, compared with an 18 percent decline for the main gauge. Damac has lost 38 percent in 2018 while Union Properties fell by 36 percent.